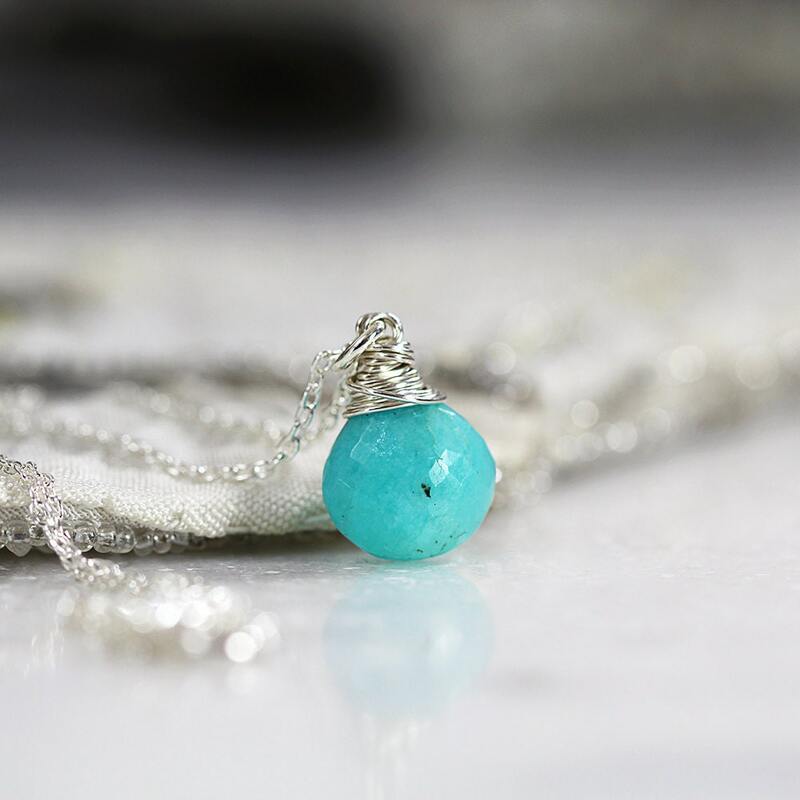 This gorgeous silver Amazonite pendant necklace is delightfully dainty yet packs a colourful little punch. The colour of this stone is just divine! 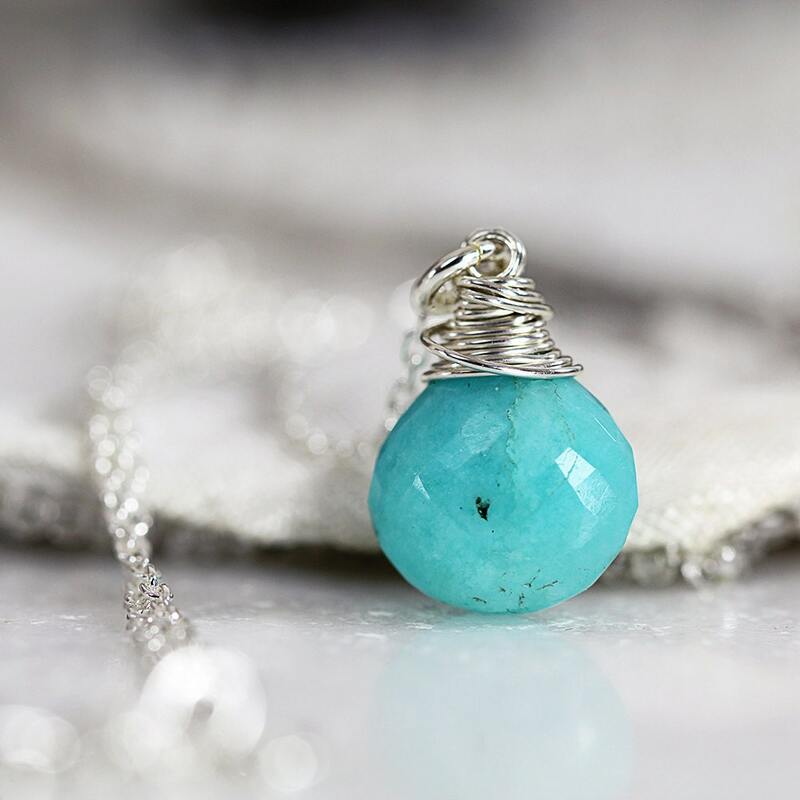 Featuring excellent quality blue-green amazonite cut into a twinkling little teardrop, which has been wire wrapped and suspended on a sterling silver cable chain. Also available in 14k gold fill (rolled gold). This lovely teardrop necklace makes a gorgeous gift for a loved one - for mum, sister, friend, wife or girlfriend - for any occasion such as a birthday, a graduation, an anniversary, Valentine's or Christmas gift. Small and dainty enough for children and teenagers. 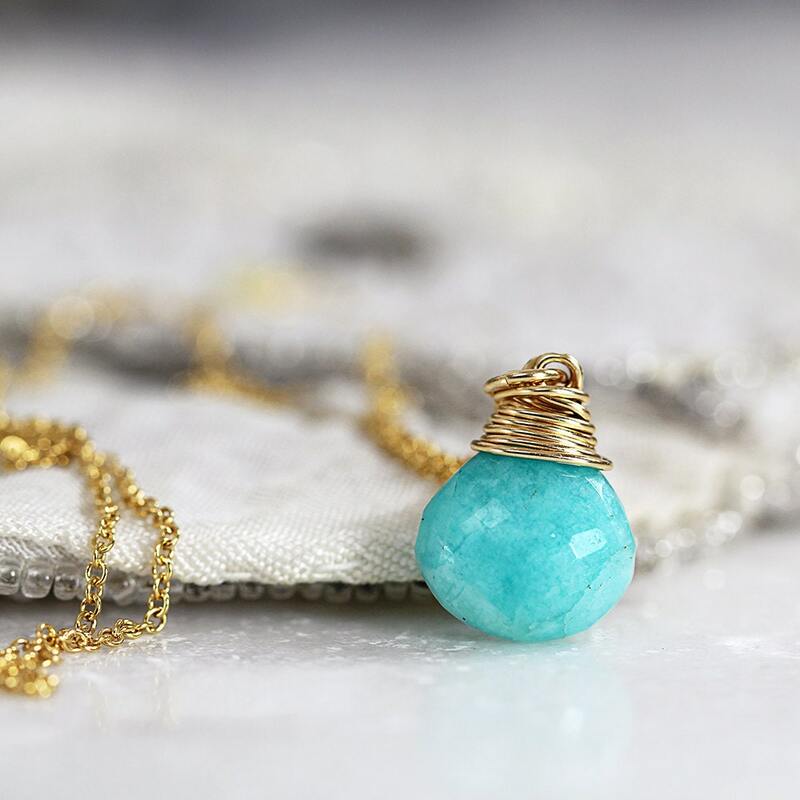 Amazonite is named after the Amazon region in Brazil, where it was originally discovered. 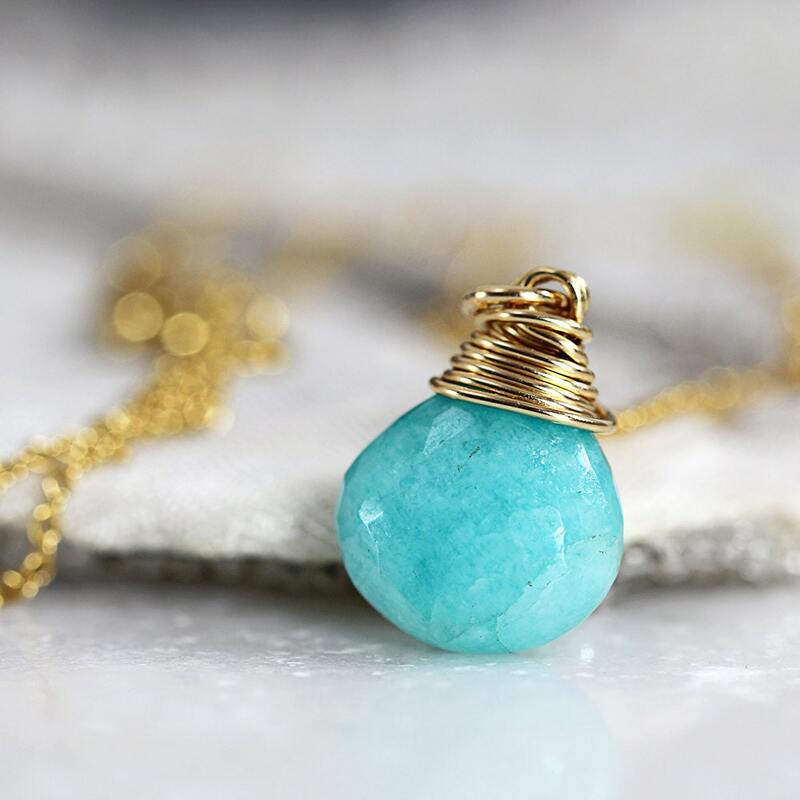 Amazonite is said to have a soothing effect on the nervous system, and as the nervous system dictates our emotions, this stone is therefore said to soothe tense and difficult situations and to enhance love and gentleness. Amazonite is also said to bestow truth, honour and integrity to its wearer. It's a truly beautiful stone. 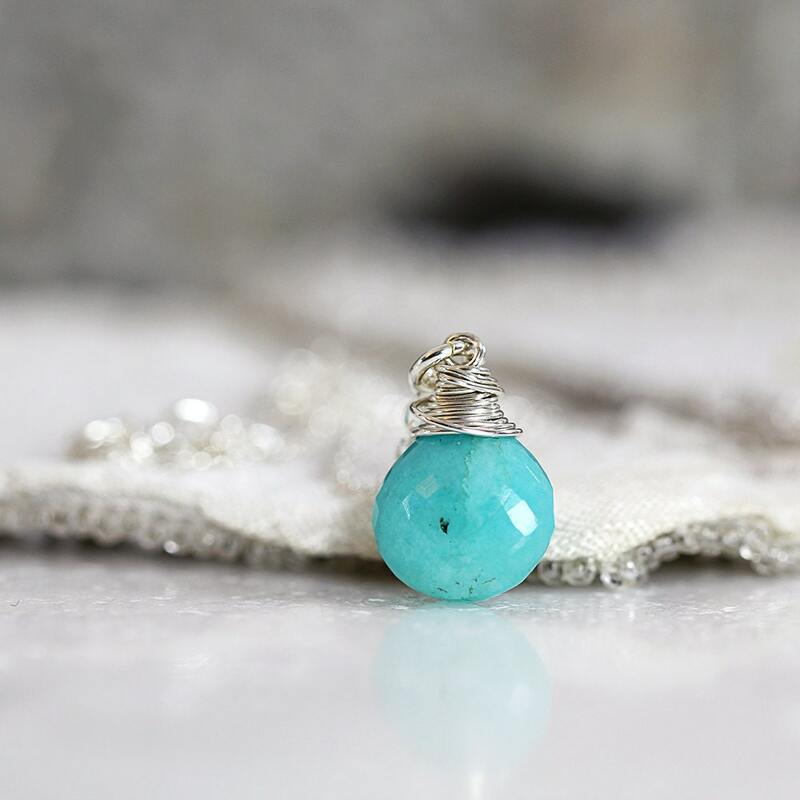 * Amazonite teardrop measures approx 8-9mm in length - tiny and dainty!